Democrats are more likely to watch certain shows than Republicans and vice versa, but generally speaking, the most popular shows look similar. 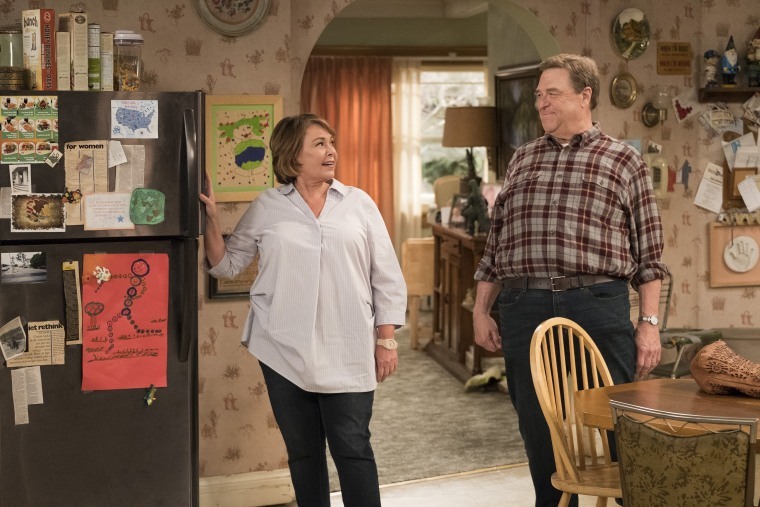 The huge success of the Roseanne reboot has captured a lot of attention in political circles in the past few weeks, particularly its enormous viewership in “Red America.” But how deep are the partisan divides in America’s entertainment TV viewing? That depends on how you look at the question. Democrats are more likely to watch certain shows than Republicans and vice versa, but generally speaking, the most popular entertainment shows look remarkably similar, according to data from Simmons Research gathered in 2017. Let’s start with the Democrats. When you look at the Simmons data, which is gathered through consumer surveys, some clear patterns emerge in the shows that “index” the highest for Democrats. Those are the shows Democrats are more likely than others to watch. First, shows featuring African-American casts and delving into African-American issues stand out. Empire and Black-ish are two of the best-known examples of this point in the data, but there are also several shows from BET, Black Entertainment Television, that show up on the Democrat “over-index” list. Another item on the Democrat’s list that might fall under this rubric: Saturday Night NBA Basketball. The NBA has long tended to have a larger share of African-American fans than other major sports. What’s behind those viewership numbers? Politically, African-Americans overwhelmingly identify with the Democratic Party. The Democratic list also features quite a few topical comedy shows. Last Week Tonight with John Oliver and Veep, both known for sharp political satire, index at sky-high rates for Democrats, while barely moving the needle for Republicans. And both shows air on HBO, which the data show tends to over-index for Democrats overall. A different set of patterns is visible on the shows that Republicans are more likely than others to watch. The power of the show Last Man Standing in the Republican data is remarkable – even though the show is no longer producing episodes. Last Man Standing was among the highest indexing Republican shows for the first-run episodes that aired on ABC until last spring, and for the reruns that aired on the Hallmark Channel. In a sense, Last Man Standing was Roseanne before the latter show was rebooted a few weeks ago. It revolved around a male sporting goods store worker with strong conservative values challenging and being challenged by his family and the world around him. Since the big success of Roseanne, there is now discussion of bringing Last Man Standing back. The Antiques Roadshow is indicative of another pattern in the Republican viewing data, a love of programs showing the value of older, vintage items. Also on the over-indexing list for Republicans: American Pickers, Pawn Stars, and This Old House. And two sports broadcasts index highly for Republicans, NASCAR’s Xfinity Series on Fox Sports 1 and regular season college football on ESPN. The viewership of those broadcasts also under-indexes for Democrats. There are some significant and deep splits on those lists and they largely follow what we know of the red-blue divide. The humor of Last Week Tonight is aimed at a different audience than the humor of Last Man Standing. But when you simply look at the top entertainment shows among Democrats and Republicans – the programs that members of each party say they watch most frequently – the lists actually look quite similar. Go back and forth between those two lists and you’ll see that seven of the top 10 shows are the same for Democrats and Republicans. The orders may be different, but it turns out that The Big Bang Theory, Fix Upper and America’s Got Talent are purple in their overall partisan viewership. And people in both parties seem to like watching the police procedural that is NCIS and the real estate voyeurism of House Hunters. To be clear, none of this papers over the differences in the U.S. electorate. The nation’s political ills can’t be solved by all of us plopping down together on the couch to binge watch the Property Brothers. The trend toward tribalism in American politics is real and deep and visible in a lot of ways as we have noted often in the Data Download. Furthermore, this is just looking at cable and network television viewing habits. The world of streaming services has led to greater freedom for consumers, but at the same time, it has created further ways for audiences to segment themselves into niches and micro-niches. But the picture is more complicated than that. The data here show that you can still find a few broad commonalities in the American experience - even in the age of President Trump and rebooted Roseanne.